Home / Blog / The Stone Trust Sells Tools! The Stone Trust Sells Tools! 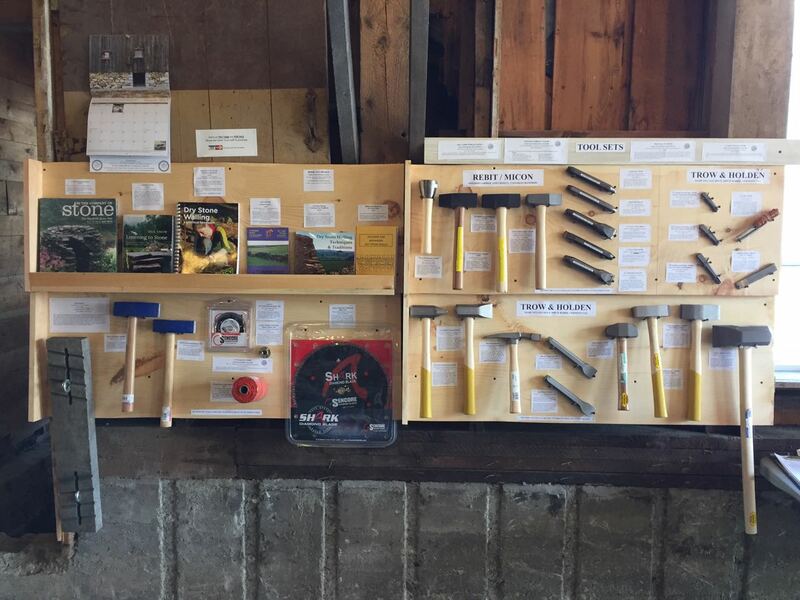 Did you know The Stone Trust now sells tools and supplies useful for all wallers? We currently sell tools from Trow and Holden, Rebit, Micon, Sencore, & Kraft. We are also the exclusive seller of adjustable batter boards made by Foxchair Moutain Craftsmen. We also have a great selection of dry stone walling books. Our online store will soon list all these items. Currently they are available at all Stone Trust Workshops and Events. Our prices are competitive, with member prices below list pricing, and at workshops there are no shipping charges. Our product list is below. What’s so Cool About Batter Frames?